An exciting leadership opportunity for students! 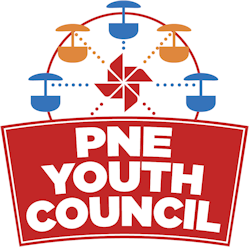 The PNE Youth Council is going into its tenth year and is looking for 16 high school students who want to build their leadership and networking skills. This is an exciting opportunity where you will learn how a successful business operates and interact with business leaders from the PNE and wider community. It is also a chance to share ideas, give a voice to youth, and make a difference in the community. Our hope is that this council will foster a strong relationship between youth and the PNE, and will become a PNE legacy that continues for generations. The application deadline for the 2019/2020 term is Friday, May 10, 2019. Interviews will be conducted in June 2019 for those shortlisted.